The TelSim™ all-in-one Telemetry simulation environment is designed to solve your mission simulation, telemetry ground systems testing, and training needs in a turnkey package. It can be configured for anything from simple pattern generation to interactive modeling or real-time automated control sequences. 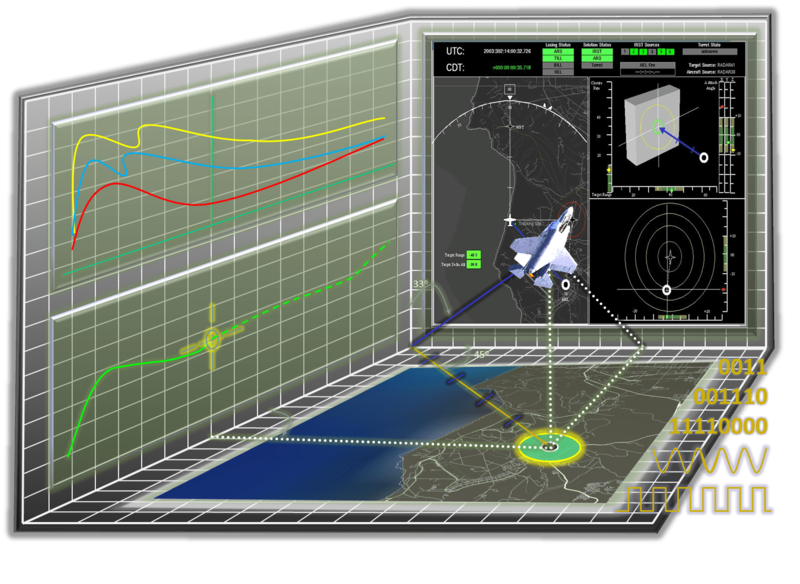 TelSim™ provides dynamic real-time telemetry simulation using automated reactive control via simple user interaction. Operations and test organizations can enhance personnel and systems readiness without impacting availability of operational assets, accommodating a full range of realistic nominal and non- nominal mission scenarios. The TelSim™ provides real-time generation of complex serial data streamer, including IRG 106 compliant telemetry. It’s capable of fully independent operation that can be plugged-in to any telemetry ground station as a headless server, or with a fully interactive multi-user graphical user interface. Fully integrated simulation environment that can model the continuous or discrete time behavior of any external system. Mission scenarios are easy to define and organize. Simple user-friendly operation makes TelSim™ ideal for supporting all phases of testing and training. The TelSim™ modeling engine allows a systems engineer to quickly create interactive models using a point and click GUI or high level scripting language. A programming library is also available that supports the integration of 3rd party models. TelSim™ enables simulations to be scalable in fidelity so they can operate stand alone, or integrated with other models to create large-scale mission simulations. TelSim™ also supports telemetry acquisition, processing, and recording for mission playback and replay of post decom data with simulation models. Real-time IRIG 106 telemetry simulation appliance capable of fully independent operation that can be plugged into any telemetry ground station. Supports simultaneous telemetry acquisition, processing and recording for missions playback and replay of post decom data with simulation models. Modular software architecture decouples telemetry– processing details from simulation environment. Built on top of generic real-time command and control middle ware that includes service for data processing, visualization, archived, data reduction and analysis, and network centric operation. Configuration and telemetry description managed using validation XML. Can exchange format data with any database scheme. Real-time and user configurable variable time engine. Waveform module control: sample rate, amplitude, offset, period, bias, delay, etc. are configurable. Simulation module operation: create update, query, delete. Command module: evaluates a procedure, script, or function upon command receipt. Event module: initiated by a synch trigger or condition: time, commands, or other groups behaviors. External time sync or internal simulation time generation. Open interface for integration of MATLAB and other third party analysis tools.